Washington, D.C. • February 13, 2019 – The Craft Beverage Modernization and Tax Reform Act (CBMTRA) was reintroduced in the U.S. House of Representatives today with strong support from a broad group of industry trade associations including the beer, wine, spirits, and cider sectors. The legislation, which was first introduced in 2015 to recalibrate federal excise taxes and streamline regulations on beverage alcohol producers, was reintroduced in 2017 by Representatives Erik Paulsen (R-MN) and Ron Kind (D-WI), garnering strong support from the majority of Congress as well as industry groups. Legislation that included a two-year provision of CBMTRA passed in December 2017 as part of the broader Tax Cuts and Jobs Act. Representatives Kind and Mike Kelly (R-PA) are the lead co-sponsors of the bill upon its reintroduction today. They were joined by: Darin LaHood (R-IL), Chellie Pingree (D-ME), Patrick McHenry (R-NC), Earl Blumenaeur (D-OR), Peter DeFazio (D-OR), and Dan Newhouse (R-WA). Leaders from the Brewers Association (BA), Beer Institute, WineAmerica, Wine Institute, Distilled Spirits Council, American Craft Spirits Association, and U.S. Association of Cider Makers agree that the legislation creates a more fair and equitable tax structure for beverage alcohol producers and their consumers. The legislation empowers these key economic players to continue to invest in their businesses and boost jobs across the country. The mission of WineAmerica is to encourage the dynamic growth and development of American wineries and winegrowing through the advancement and advocacy of sound public policy. WineAmerica was founded in 1978 as the Association of American Vintners, a trade association of wineries with membership based in the eastern U.S. By 1991, the association had expanded and merged with the National Vintners Association forming the American Vintners Association. The association was renamed WineAmerica in 2003 to reflect its national role. 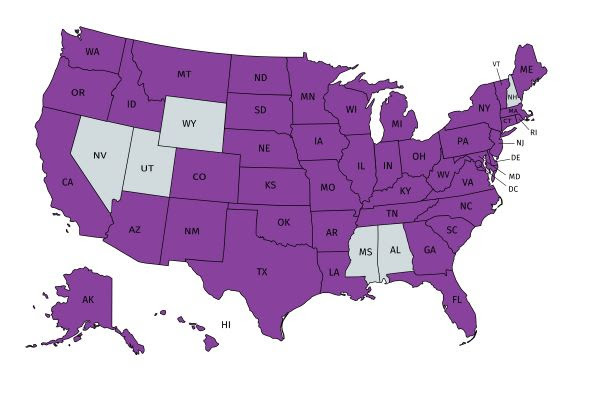 WineAmerica serves the interests of wineries in all 50 states by leveraging its formidable grassroots advocacy strength to benefit the entire industry. Washington, D.C. • February 06, 2019 – The Craft Beverage Modernization and Tax Reform Act (CBMTRA) was reintroduced in the U.S. Senate today with strong support from a broad group of industry trade associations including the beer, wine, spirits, and cider sectors. The legislation, which was first introduced in 2015 to recalibrate federal excise taxes and streamline regulations on alcohol beverage producers, was reintroduced in 2017 by Senators Ron Wyden (D-OR) and Roy Blunt (R-MO), garnering strong support from the majority of Congress as well as industry groups. Legislation that included a two-year provision of CBMTRA passed in December 2017. Senators Wyden and Blunt are once again the lead co-sponsors of the bill upon its reintroduction today. A full list of Craft Beverage Modernization and Tax Reform Act co-sponsors and supporters can be found here. The Brewers Association (BA) is the not-for-profit trade association dedicated to small and independent American brewers, their beers and the community of brewing enthusiasts. The BA represents 4,800-plus U.S. breweries. The BA’s independent craft brewer seal is a widely adopted symbol that differentiates beers by small and independent craft brewers. The BA organizes events including the World Beer Cup®, Great American Beer Festival®, Craft Brewers Conference® & BrewExpo America®, SAVOR™: An American Craft Beer & Food Experience, Homebrew ConTM, National Homebrew Competition and American Craft Beer Week®. The BA publishes The New Brewer® magazine, and Brewers Publications® is the leading publisher of brewing literature in the U.S. Beer lovers are invited to learn more about the dynamic world of craft beer at CraftBeer.com® and about homebrewing via the BA’s American Homebrewers Association® and the free Brew Guru® mobile app. Follow us on Facebook, Twitter and Instagram. The Beer Institute is a national trade association for the American brewing industry, representing brewers of all sizes, as well as beer importers and industry suppliers. First founded in 1862 as the U.S. Brewers Association, the Beer Institute is committed today to the development of sound public policy and to the values of civic duty and personal responsibility. For additional updates from the Beer Institute, visit our website, follow @BeerInstitute on Twitter, like the Beer Institute on Facebook, and follow the Beer Institute on Instagram. Established in 1934, Wine Institute is the public policy advocacy group of nearly 1,000 California wineries and affiliated businesses that works to enhance the environment to responsibly produce, promote and enjoy wine. Wine Institute also supports the economic and environmental health of its communities through its leadership in sustainable winegrowing and a partnership with Visit California to showcase California’s wine and food offerings and the state as a top travel destination. Wine Institute’s membership represents 80 percent of U.S. wine production and over 90 percent of U.S. wine exports. For information visit www.wineinstitute.org or its consumer website at: www.discovercaliforniawines.com. The Distilled Spirits Council is the national trade association representing the leading producers and marketers of distilled spirits in the United States. The Council guards the sector against higher taxes and works diligently to reduce trade barriers across the globe, while supporting policies that increase adult market access for spirits products, provide greater convenience and choices for adult consumers, and encourage responsible and moderate consumption. The Council is a go-to resource for sector data, changes in public policy, cultural acceptance programs, U.S. spirits exports to foreign markets, and alcohol and science. For more information about the Council, go to www.distilledspirits.org. The American Craft Spirits Association is the only national, registered non-profit trade association that exclusively represents the U.S. craft spirits industry. Its mission is to elevate and advocate for the community of craft spirits producers, and membership in ACSA is open to anyone. ACSA is governed by a Board of Directors elected by the eligible voting members of the Association. Voting members must be independent, licensed distillers (DSPs) annually removing fewer than 750,000 proof gallons from bond (the amount on which a Federal Excise Tax is paid.) who subscribe to ACSA’s Code of Ethics. The USACM is an organization of cider and perry producers in the United States. Our mission is to grow a diverse and successful U.S. cider industry by providing valuable information, resources and services to our members and by advocating on their behalf. If you are not already a member of WineAmerica, join now! Need a COLA? You’re out of luck. As the partial government shutdown enters its fifth week, wine industry members needing Certificate of Label Approvals or other help from the Tax and Trade Bureau are out of luck, since the Treasury Department, TTB’s parent agency, is one of those shut down. As a result, last week WineAmerica conducted an online survey sent to all American wineries in order to assess the actual impact so we can share it with members of Congress and the Administration. The inability to get approved COLA’s has a ripple effect, since wineries may not sell their product without them, delaying their cash flow as well as the various taxes that federal and state governments rely on. And, of course, consumers can’t enjoy the wines. While many government agencies are shutdown, WineAmerica staff and lobbyists have been busy working on Capitol Hill with our beverage coalition partners on getting an extension to the Craft Beverage Modernization and Tax Reform Act (CMBTRA) or, far better, making it permanent. Otherwise, one year from now, excise taxes for wineries of all sizes will go up dramatically. CBMTRA was one of very few bills that had strong bipartisan support, with 55 Senate and 305 House co-sponsors from both sides of the aisle–unheard of in today’s Washington. The way DC works (or sometimes doesn’t), we now have to start all over, and so we have. The beverage coalition–including associations representing wine, beer, spirits, and cider–met last week with key members of the both chambers and secured the originating sponsors: Representatives Ron Kind (D-WI) and Mike Kelly (R-PA), and Senators Roy Blunt (R-MO) and Ron Wyden (D-OR). Senator Wyden originated the bill a couple years ago, and Senator Blunt got it inserted into the broader Tax Cuts and Jobs Act. The next step is enlisting other co-sponsors from around the country, and we will work with our colleagues in the State and Regional Associations Advisory Council to reach out to their elected officials in Washington. The bill includes a series of tax credits which lower the effective tax rate on various levels of production, and may be used on sparkling wines as well as table wines. In addition, for tax purposes the alcohol by volume (ABV) limit for table wines was increased from 14% to 16%. However, the bill is also set to expire on December 31, 2019 which, if that occurred, would reverse all the benefits.See the chart below to assess how much you are saving now (and would lose if we don’t extend this). Glitch Fix: Alas, as often happens when complex bills are rushed through Congress at midnight, technical errors occur, and this one was no exception. The problems had to do with the application of the new tax system to custom crush facilities and bonded wine cellars, and could have had very damaging effects. Once again, WineAmerica worked closely with Wine Institute and the Napa Valley Vintners Association to start fixing the glitches, some of which have already occurred. It is important to note that when all the glitches are fixed, the corrected system will be retroactive to January 1, 2018, so wineries will eventually be made whole. We take care of your business climate so you can take care of your business. Do you need a federal bond for your winery? That question was addressed in WineAmerica’s “Weekly Harvest” e-newsletter for members that goes out at the beginning of each week. Next Monday’s edition will include information about the structure of the excise tax reform in the CBMTRA. Both subjects are typical of the practical, timely, helpful information members get each week. For a limited time only, we’re sending it beyond our membership base to all wineries in the country to demonstrate WineAmerica’s value. (If you didn’t get it, contact tgood@wineamerica.org and ask that she send it and add you to our e-list). 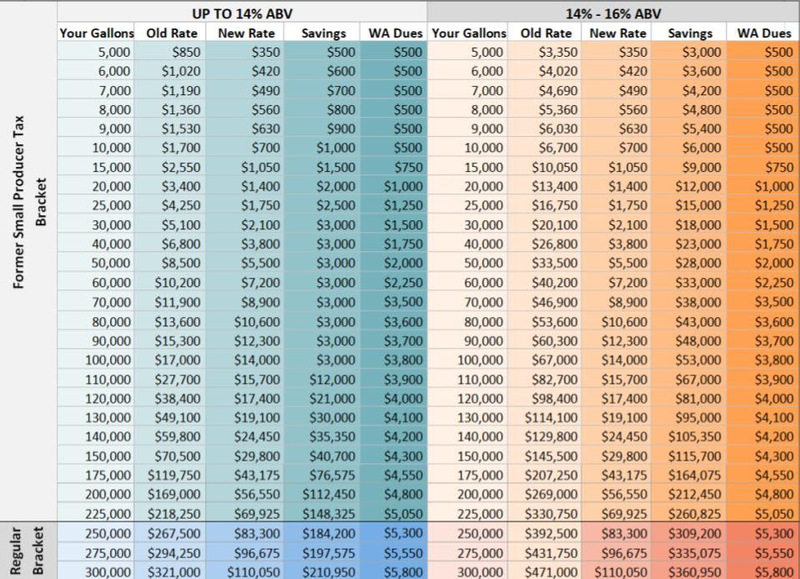 Oh, about the bond requirement: The bottom line, in simplistic terms, is that wineries with less than $50,000 of excise tax liability in 2018 don’t need a federal bond, but there are also TTB reporting requirements before you can benefit from this savings. So make sure you read the newsletter carefully, and contact Michael Kaiser with any questions (mkaiser@wineamerica.org). Elimination of the federal bond requirement for some wineries is just another example of the money-saving policies that WineAmerica has successfully advocated for over the years. Others include the CBMTRA, the Small Producer Tax Credit, and Repeal of the Special Occupational Tax. 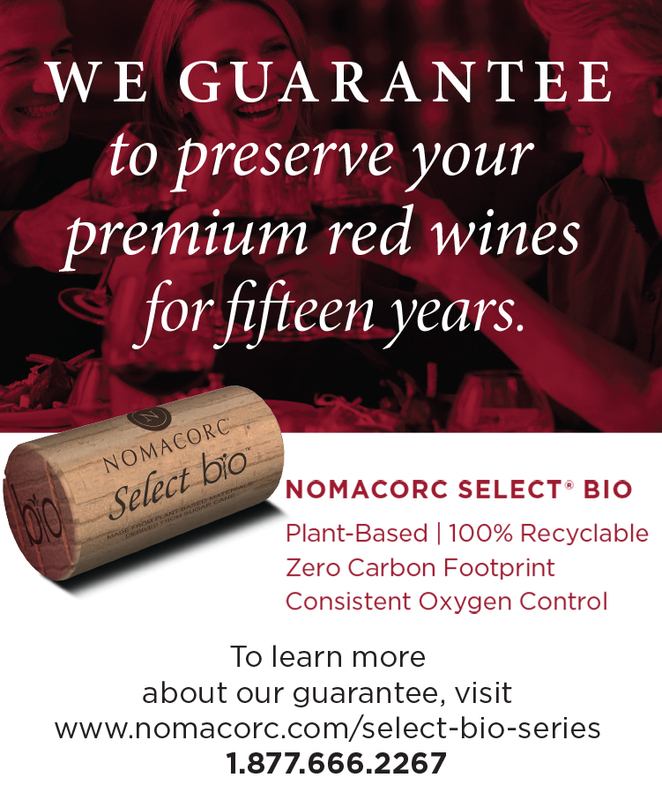 As a result of all this, a 10,000-gallon winery saves over $11,000 each year–and their WineAmerica dues are only $500. Talk about a great Return on Investment! Since the last edition of this newsletter, we have been pleased to welcome three new members: Marker Cellars Family Winery (TX), Lakeland Winery (NY), and Zugibe Vineyards (NY). As a New Yorker, I’m proud that my state has the most WineAmerica members of any state, but I would also love to see that change because other states boosted their support. Secrets of Success: Prioritization, Persistence, and Partnerships form the key blend in moving legislation over the finish line. Our WineAmerica team clearly articulates the wine industry’s needs, keeps repeating that message, and joins with other groups to make it all happen. If you are not already a WineAmerica member, we encourage you to join today. There was no WineAmerica Perspectives last week because I was in Cloverdale, CA judging at the San Francisco Chronicle Wine Competition, the nation’s largest with nearly 7,000 entries from all around the country. As always, it was very well run and a lot of fun to taste all kinds of wines, not to mention enjoying wonderful dinners at night. The “Chronicle”, as we call it, is also fair, given the fact that wines from virtually everywhere and of every type are not only given serious consideration, but often win top awards. For example, of the top eight wines in various categories, five were from California (where the vast majority of entries originated), but the other three from New York, Texas, and Virginia. Ah yes, after the ongoing border wall kerfluffle and the on-and-off threats of a government shutdown, here we are on the Friday before Christmas with continuing uncertainty about whether the Departments of Agriculture, Justice, State, NSA and others will be shut down and nearly a million government employees won’t be paid for as long as the shutdown lasts. About 10 days ago, President Trump held a live TV meeting in the White House with Senator Chuck Schumer and Representative Nancy Pelosi during which he told them that if he didn’t get funding for his border wall, he’d be “proud” to shut down the government, and wouldn’t blame them (to their glee). Then the atmosphere temporarily softened, and the Congress and President seemed to agree on a regular feature of Washington politics called a “Continuing Resolution” (CR), which some describe as “Kick the Can down the Road” when they can’t come to agreement on time. So Congress passed a CR to keep the government functioning until they have the chance to argue again. Not so fast: After the House and Senate passed the CR, the President said he wouldn’t sign it, so it’s now back in the lap of Congress with border wall money, but that’s not likely to get passed. And, most recently (this morning’s tweet), the President threatened that it would be a “very long” shutdown if he didn’t get his way. The deadline, when those government agencies actually run out of money, is midnight tonight, so we won’t have to wait too much longer to know the outcome. It’s amazing what a nice, peaceful town Washington can be when the politicians go home for the holidays. Actually, a number of those who didn’t get re-elected never even returned to DC after the election (but still collected their paychecks, of course). Now they’ll soon all be gone, and Washington will become quite a civilized place. It seems like yesterday, but was actually a year ago that the 2017 Tax Cuts & Jobs Act was passed, including within it the federal excise tax reductions for wine, beer and spirits created by the Craft Beverage Modernization and Tax Reform Act. Then just yesterday, the President signed the massive five-year Farm Bill that will continue to fund wine industry priorities in the areas of research, export promotion, and block grants, among many other things. These two events are like bookends reflecting the work WineAmerica staff and lobbyists Meyers & Associates have been doing over the past few years. The success is very gratifying because it helps the industry we serve. As we wind up 2018 and prepare for 2019, it’s worth briefly looking backward at accomplishments and forward at challenges. Tax Reform: For a year now, American wineries of all sizes have been saving significant money on federal excise taxes due to inclusion of the Craft Beverage Modernization and Tax Reform Act (CBMTRA) in the Tax Cuts & Jobs Act. WineAmerica worked closely with Wine Institute and beverage coalition partners in the beer and spirits sectors for over two years to achieve this success. Coordination with our grassroots State and Regional Associations Advisory Council, plus Oregon and Washington groups, also helped to get widespread support in Congress–with 305 Representatives and 55 Senators co-sponsoring the bill, a rare bipartisan show of support in today’s Washington. However, the bill is also set to expire on December 31, 2019 which, if that occurred, would reverse all the benefits. WineAmerica Vice President Michael Kaiser is the resident expert in this area. Farm Bill: As reported last week when Congress passed it, the five-year Farm Bill is a big deal for the American wine industry, in part because its multi-year timeframe allows planning for research and promotion. There are many provisions that could benefit our industry, but the most vital ones–funding for research, export promotion, and block grants–all ended up very well. Now our staff and lobbyists can take a few years off from this issue until negotiations begin on the 2023 Farm Bill. Trade Policy: The major result this year was part of the USMCA (United States-Mexico-Canada Agreement) which amended and replaced NAFTA. WineAmerica worked with Wine Institute to ensure that American wines could be sold in British Columbia, Canada grocery stores, which previously was forbidden. International trade remains a very broad and challenging area, especially with respect to China, but WineAmerica will continue monitoring issues and advocating policies beneficial to American wineries. Music Licensing: WineAmerica Vice President Tara Good has been working diligently for several years to protect American wineries from unfair and predatory practices by Performing Rights Organizations such as ASCAP and BMI. In October, the Music Modernization Act included language that protects Justice Department Consent Decrees on those companies. Tara has also negotiated with both companies directly, resulting in a winery-specific license from ASCAP as well as a 10% discount for WineAmerica members. ADA Website Compliance: Late in the year, the New York Wine & Grape Foundation alerted WineAmerica to a new regulatory/legal issue involving winery website compliance with the Americans with Disabilities Act (ADA). WineAmerica informed the broader industry about the issue, including through our State and Regional Associations Advisory Council, and drafted guidelines for member wineries. Membership: Perhaps because of all those and other accomplishments, 2018 was the strongest year in WineAmerica’s history for generating new memberships. We gained over 50 new members from around the country, bringing our total to over 500 in 44 states. In addition, many new members are marquee wineries such as Channing Daughters and Wolffer Estate in New York, Duplin in North Carolina, Ste. Michelle Wine Estates in Washington, Chateau Montelena and Tablas Creek in California. We even got Bear Creek Winery & Resort in Alaska! We also gained several new members in the SRAAC, including the Atlantic Seaboard Winery Association, Finger Lakes Wine Alliance, Napa Valley Vintners Association, and Willamette Valley Wineries Association. We accomplished a lot in 2018, but we have just as much to do in the coming year. Trade Policy: Congress still needs to approve the USMCA, so we will be working to make that happen. Music Licensing: There is always more work to do on this, both from regulatory and legislative standpoints. Immigration Policy: This may be the most complex and contentious of all issues, but that doesn’t mean we can ignore it. We need to keep advocating for a stable, reliable, motivated migrant labor force for the American wine industry. TTB Liaison: They have asked for comments on the AVA system and label-related issues, which we will be coordinate on behalf of the American wine industry. Spray Drift from Other Crops: This seems to be an increasingly widespread problem with wineries in many areas of the country. WineAmerica will be conducting a survey at the beginning of the year to assess the extent of the problem, and possible solutions. Membership Development: WineAmerica is stronger today than it has been in many years, thanks to an engaged Board of Directors, excellent staff, superb lobbyists, and all of our members. But we still need to grow, and we welcome wineries and winery associations from all over the country to join us. Diversity is our Strength. Unity is our Power. May you have a wonderful holiday season, and sprinkle random acts of kindness on many others.